Sometimes you can’t see the wood for the trees! By this, we mean sometimes you are too close to the problem to see the solution. 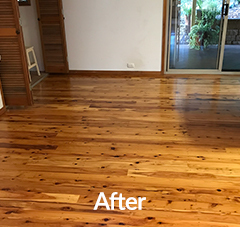 When you live in your own home and walk your floorboards – day in, day out – you often overlook all the imperfections. It takes an outside expert, such as the dedicated team at DR Main Floors, to resolve your problem for you. 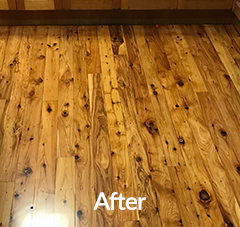 We recently completed a sand and polish job on 20-year old Cypress flooring. 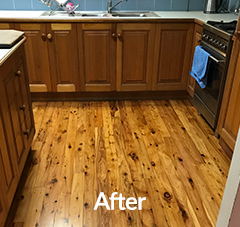 Cypress Pine is incredibly durable with a life expectancy of approximately 40 years. 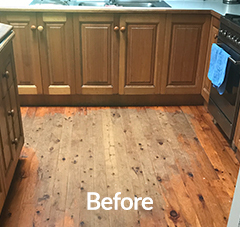 This much-loved flooring had been a reliable feature of our client’s home for over two dec-ades. 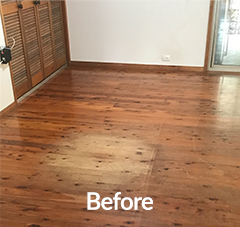 Scuff marks, scratches and furniture had left the floors looking dull and uneven. 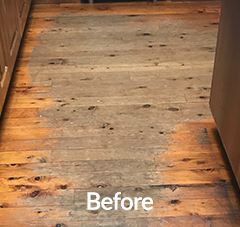 As the floor had never received any ongoing maintenance coats, the coatings had completely worn off in places, right back to the bare timber. 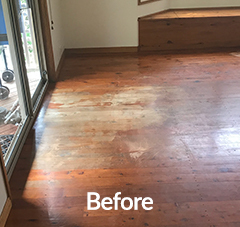 To avoid an uneven application, we first, had to sand the flooring back to reveal its natural state. This was required to make sure the polish was applied evenly across the surface. Deep sanding changes the strength and durability of the wood so the less sanding we have to do - the better. We then applied three coats of Satin Polish to achieve this gorgeous refreshed look. to preserve the polish for longer. 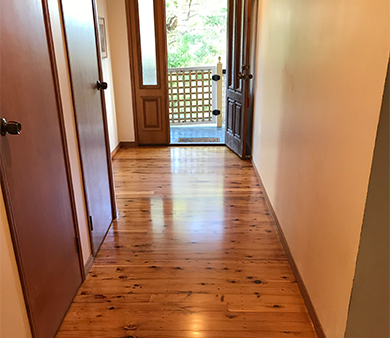 A maintenance coat in 3-5 years depending upon wear on the floor is highly recommended to prolong the life of the floor coatings. 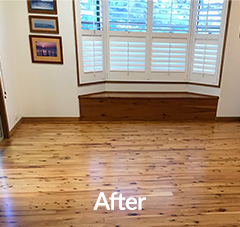 A maintenance coat only takes one day to complete and will add years of life to the floor.